Our range of A to A++ smooth curved rounded design ceiling units have been developed to meet user’s needs for a unit that better matches their room interiors. The units provide a comfortable ambience that incorporates the turbulence prevention rib to optimise ventilation. 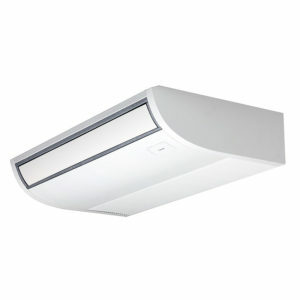 The newly designed air outlet offers improved noise reduction and increased air volumes. Additional louvre control allows the air flow angle to automatically adjust to the most suitable setting according to the users cooling or heating needs, an automatic swing mode enables air flow to reach all areas of the room to create the most comfortable environment.